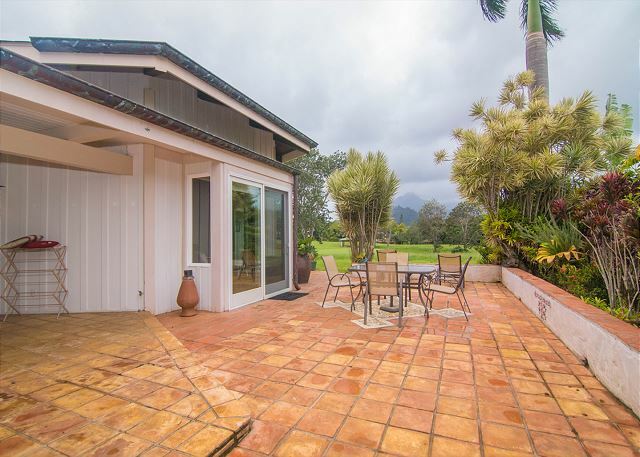 The large lanai looks out over the 6th green of the Woods course and the beautiful Namolokama Mountains and waterfalls. 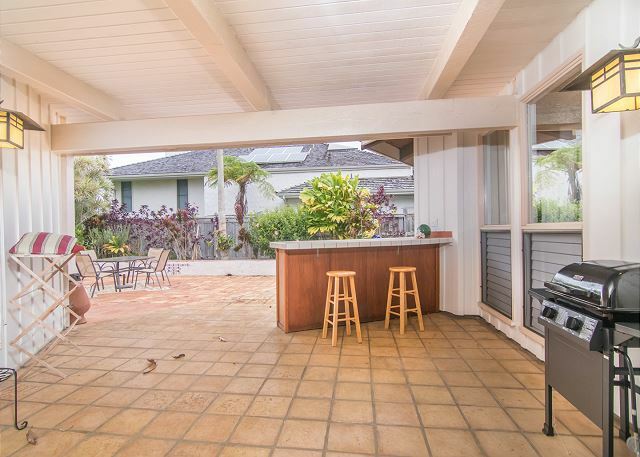 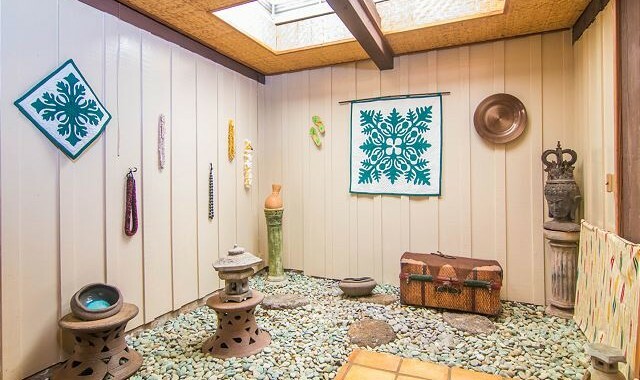 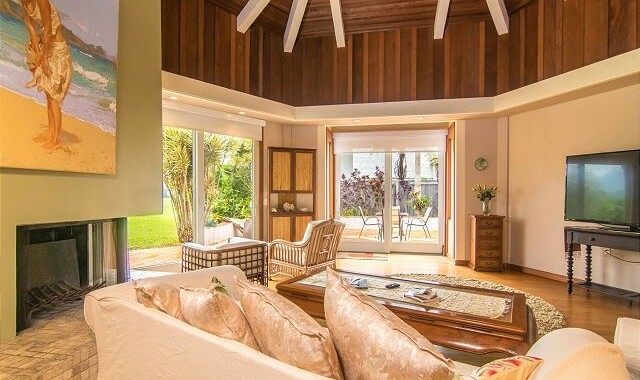 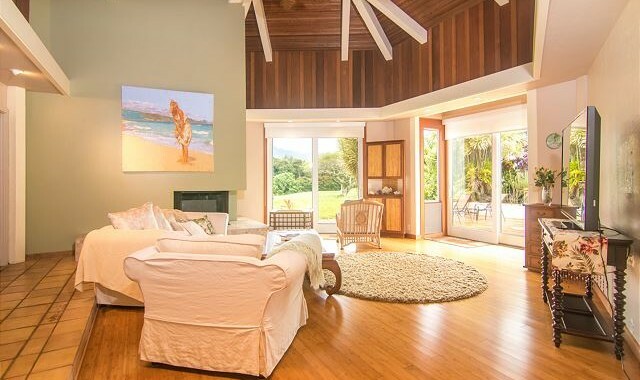 With six sets of sliding glass doors, this home feels like its own nature retreat on the Garden Isle. 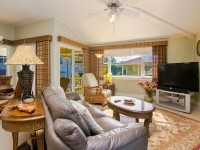 Home includes an attached garage with ample parking for one car, washer/dryer and contains a wall safe in master suite. 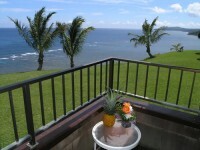 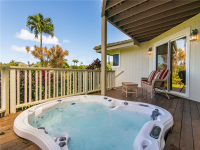 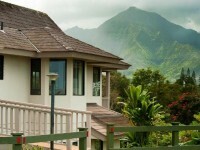 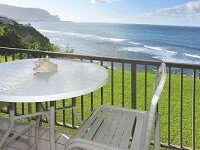 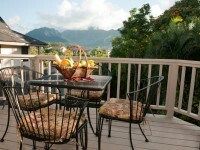 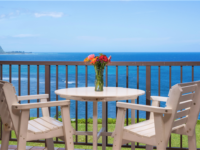 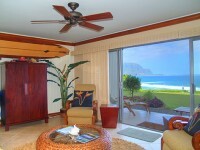 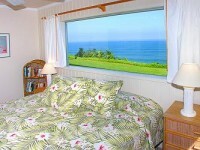 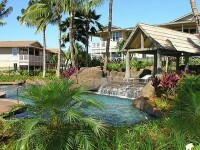 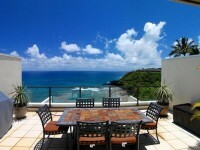 Ohana Retreat is a five minute walk to the Princeville Shopping Center, Princeville library and the community center. 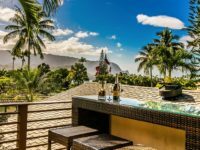 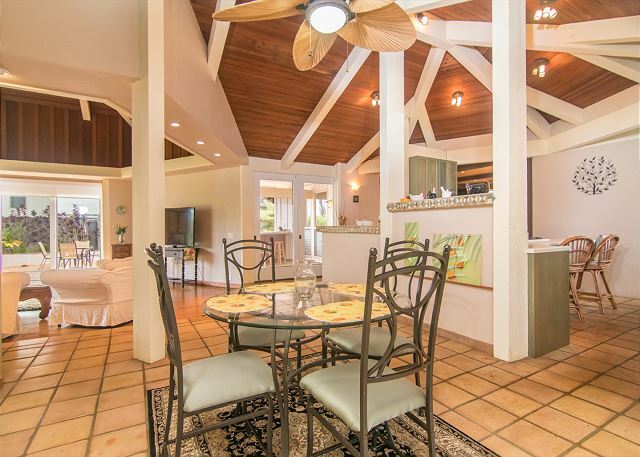 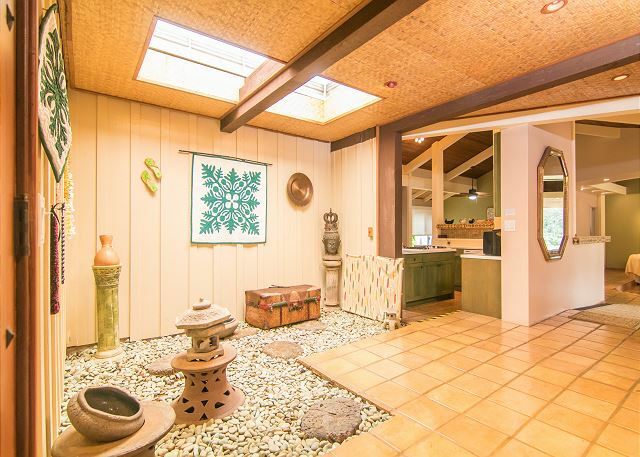 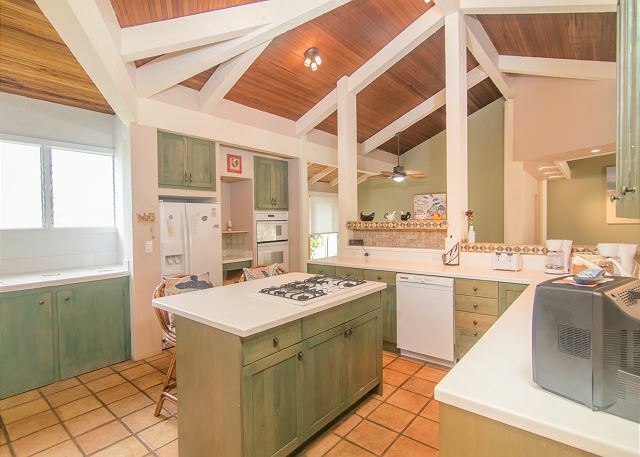 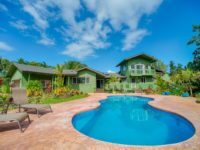 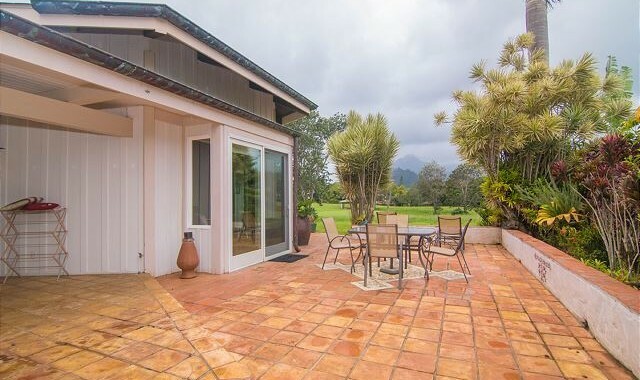 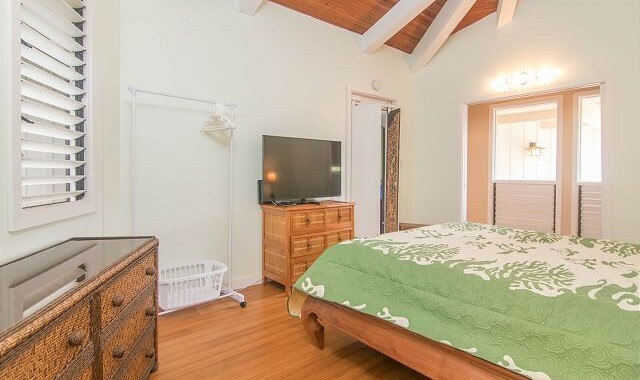 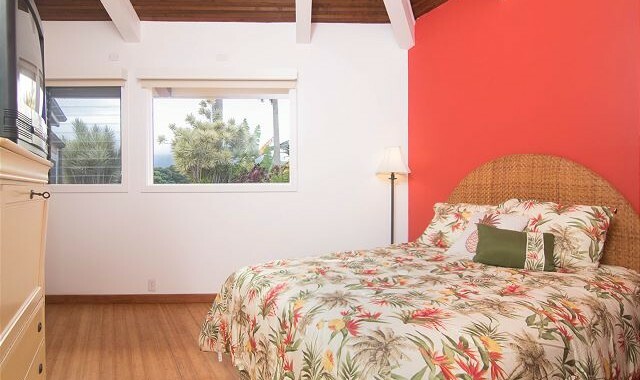 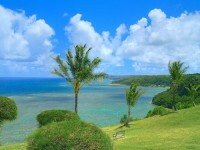 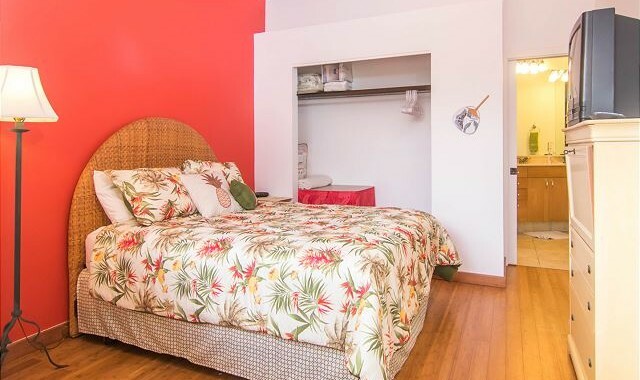 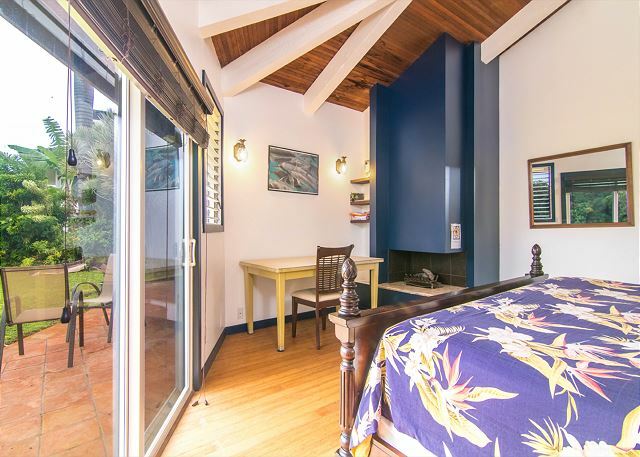 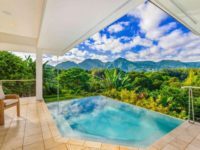 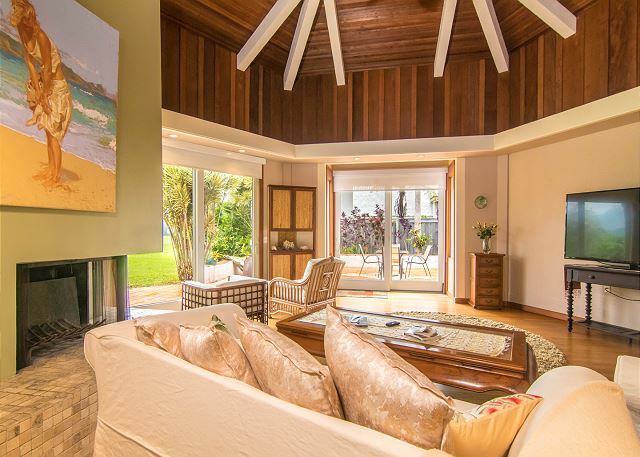 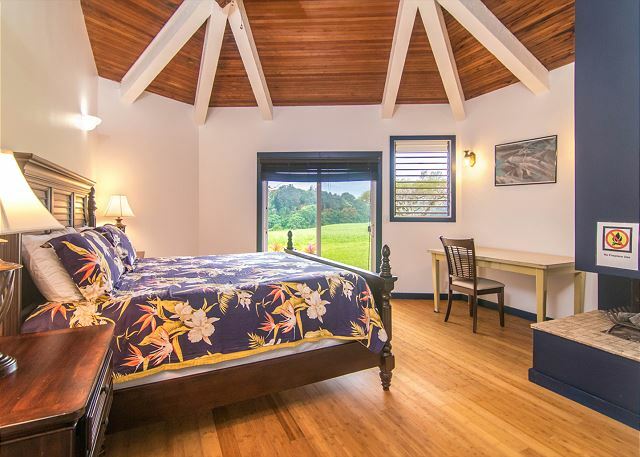 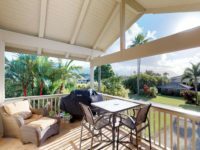 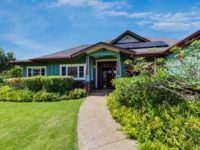 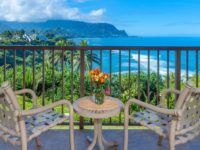 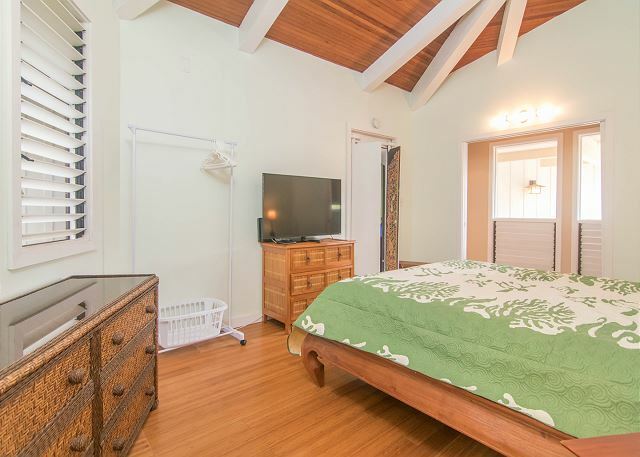 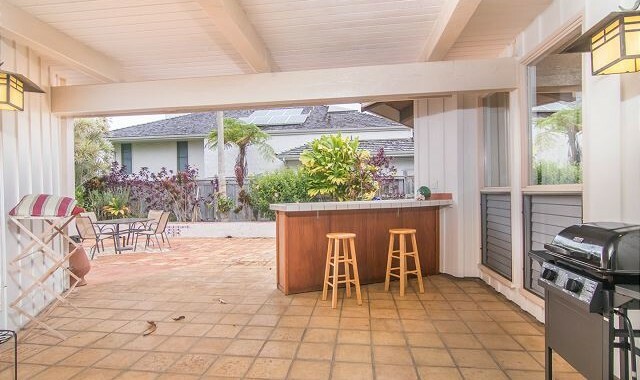 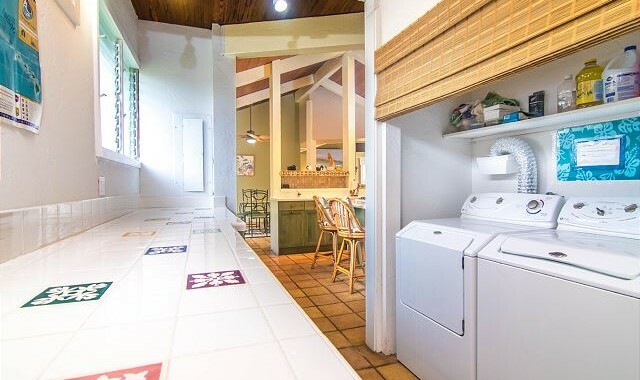 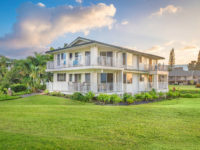 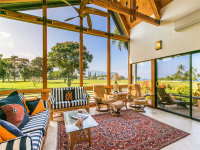 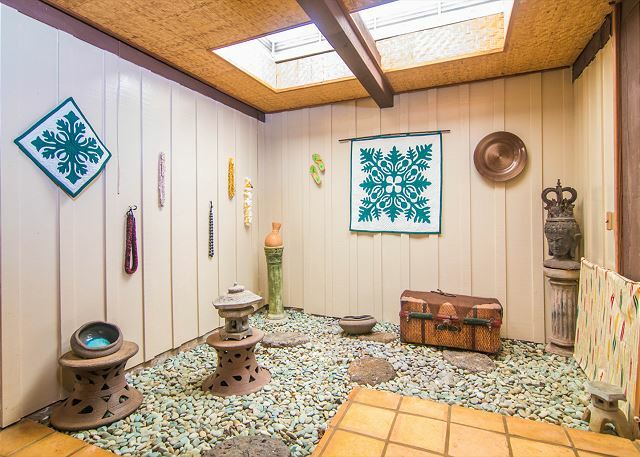 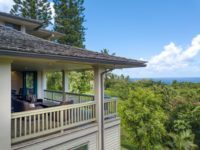 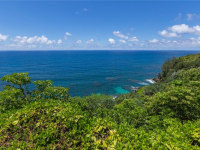 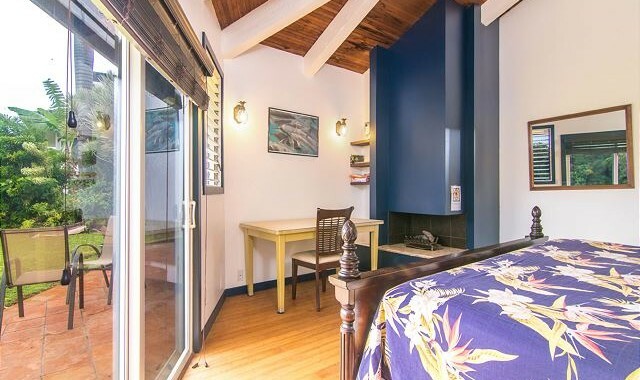 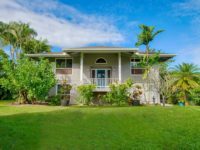 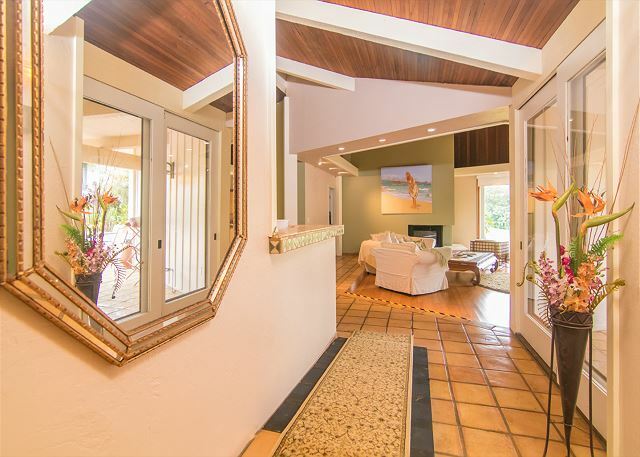 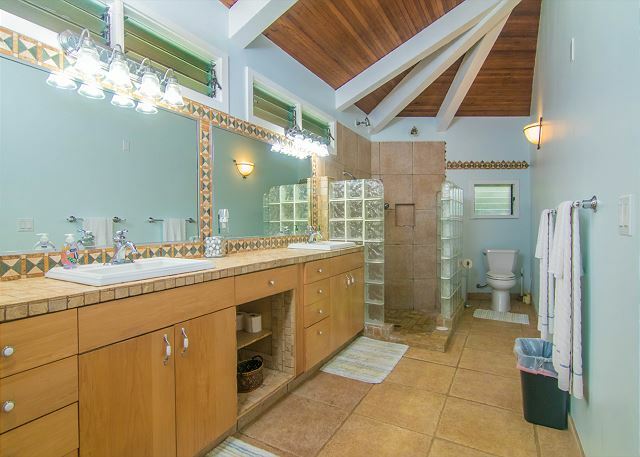 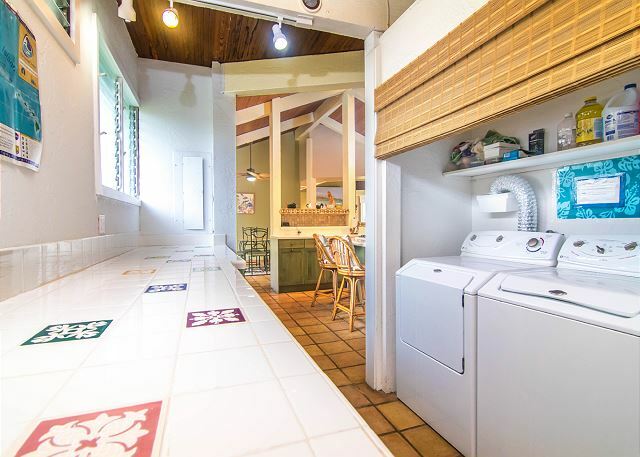 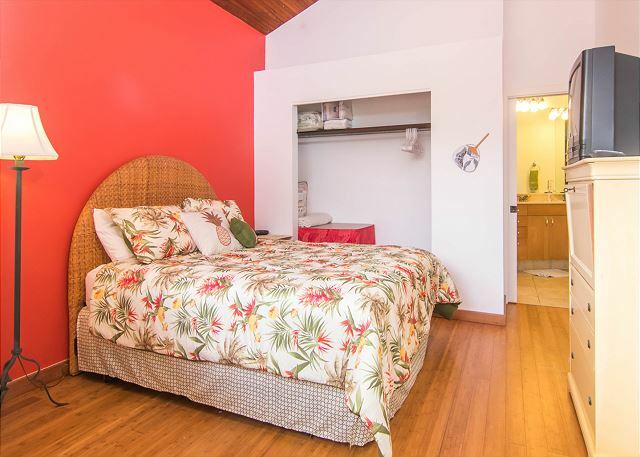 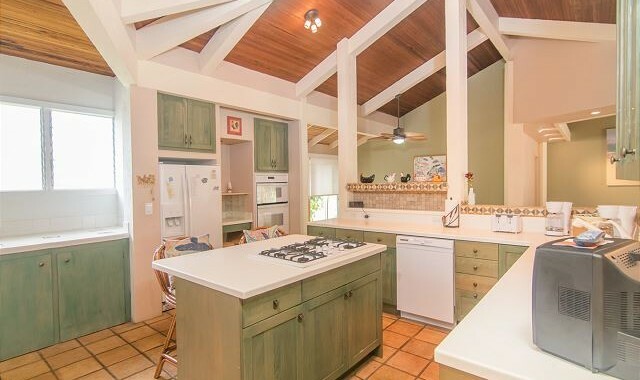 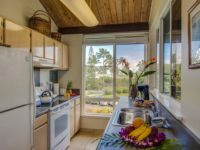 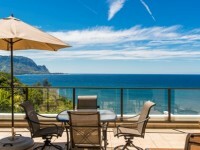 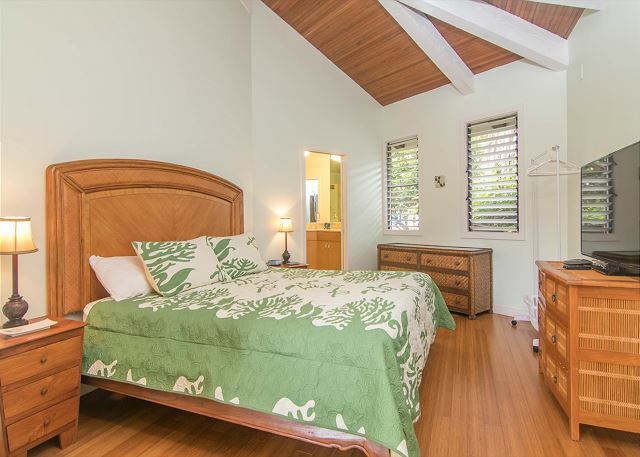 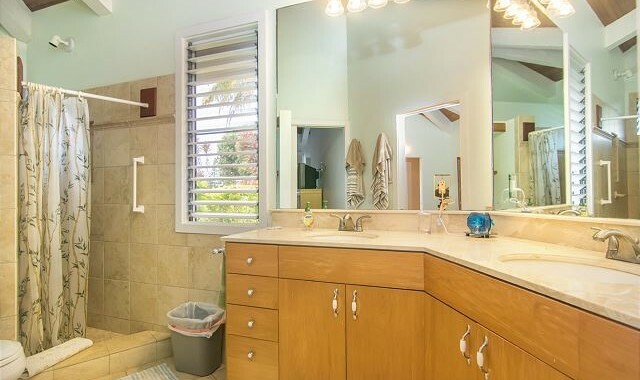 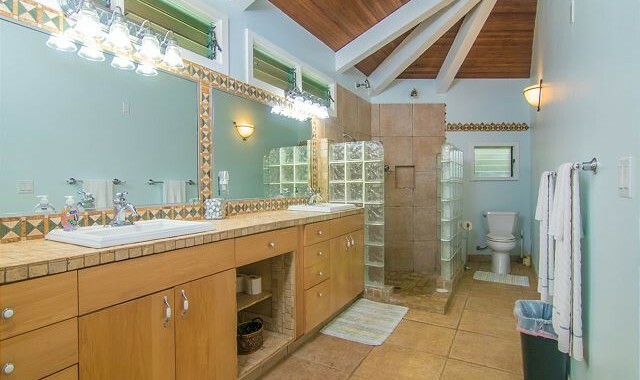 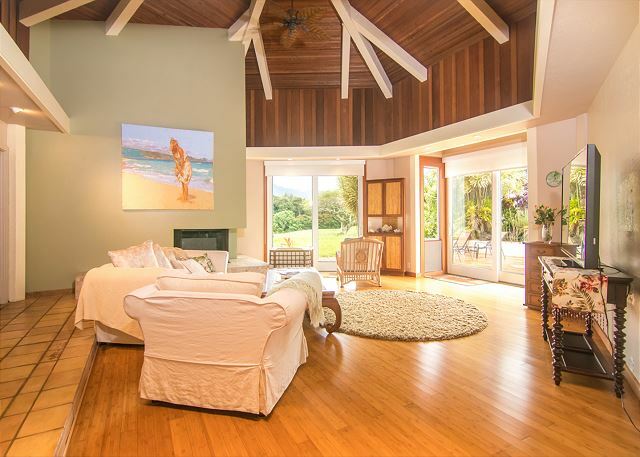 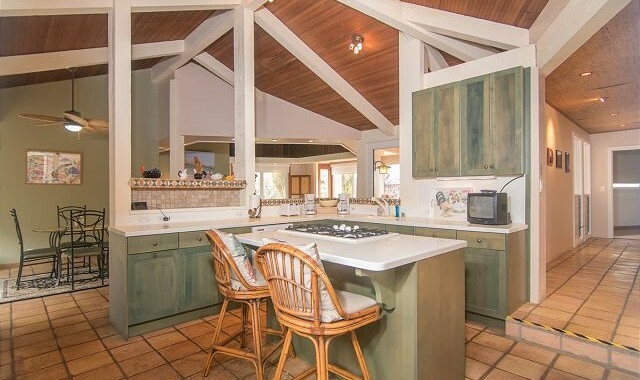 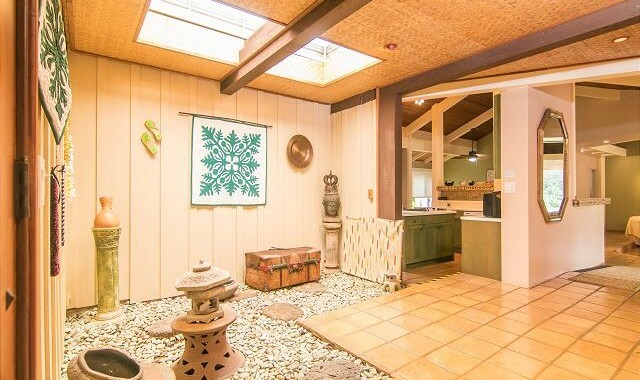 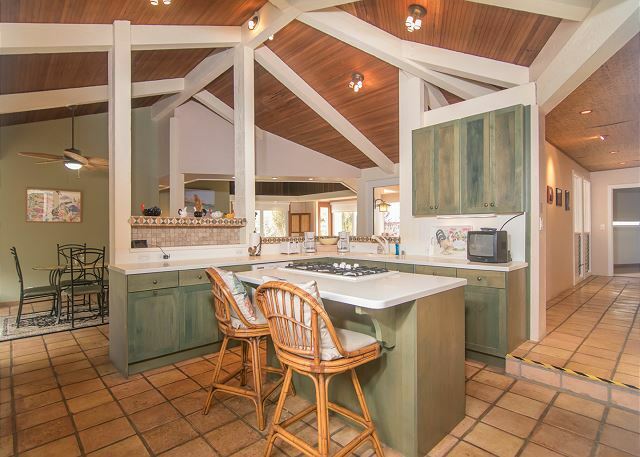 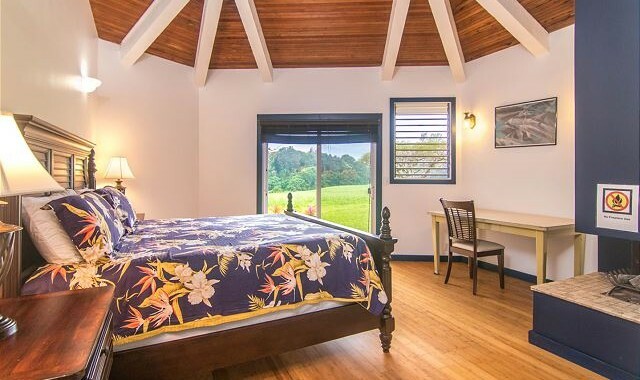 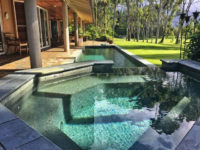 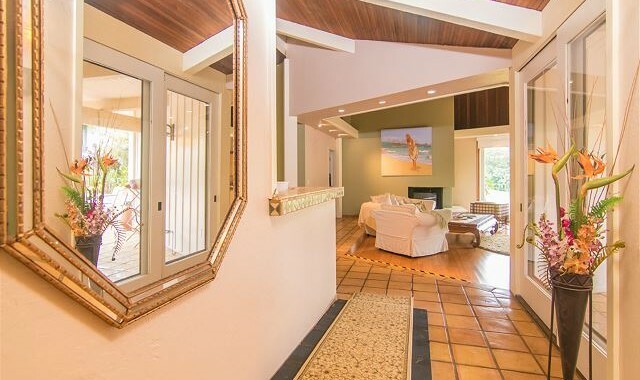 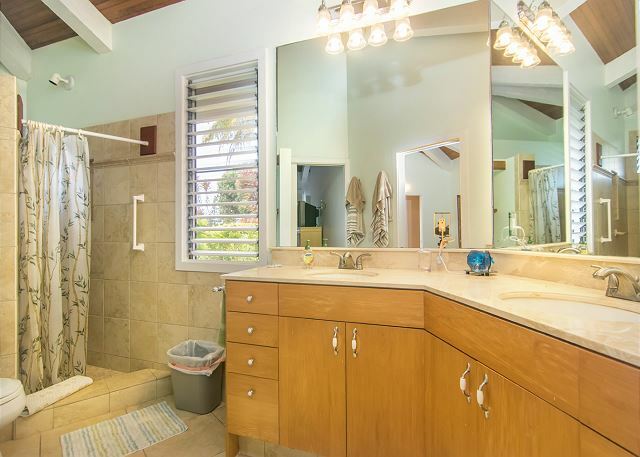 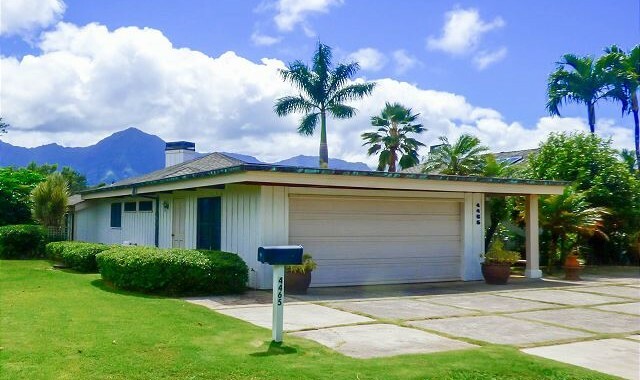 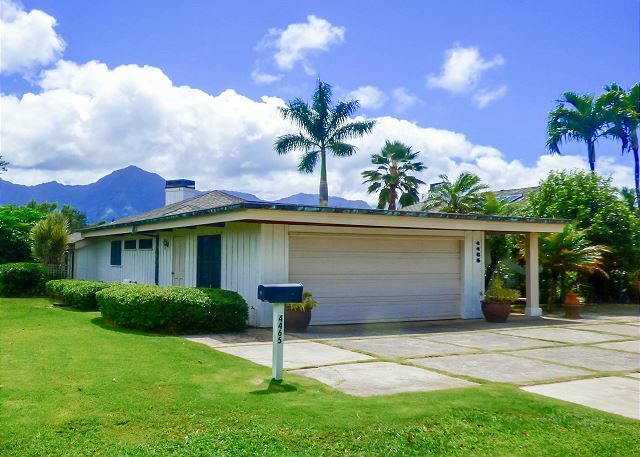 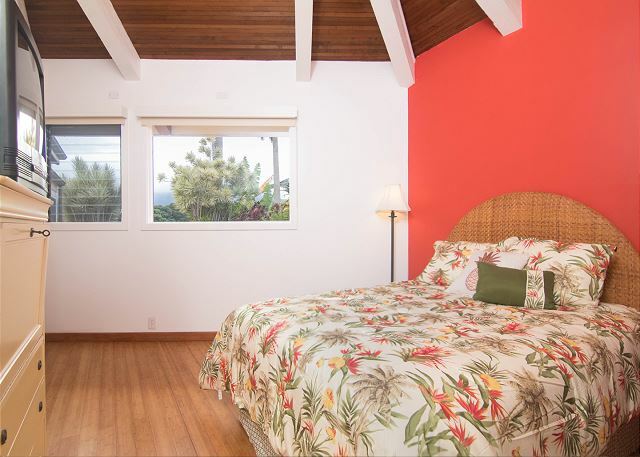 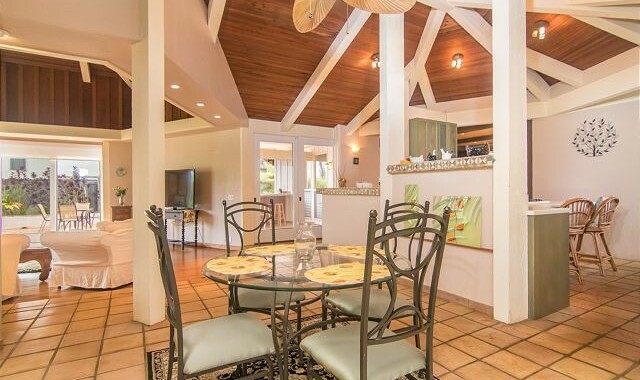 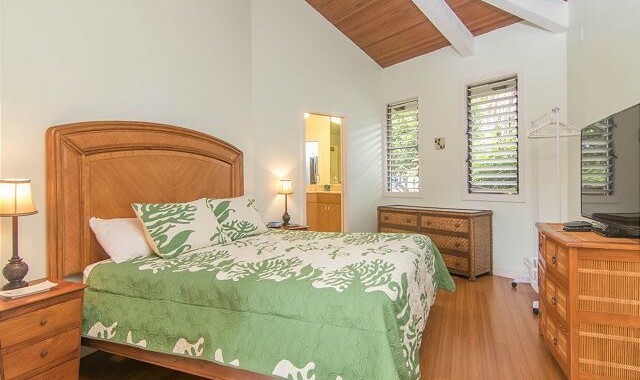 This unique home is also located just a 7-10 minute drive from Anini Beach and the Westin Princeville Resort and a two mile walk along the scenic paved pathway to the world class St. Regis hotel.